With the recent updates to the Aqara and Mi Home apps, along with the latest firmware update to the Aqara Hub, many users have been successfully able to move their Hub and (most of) their accessories from the Aqara app to the Mi Home app, giving access to more settings, automations and data than is currently possible with the Aqara app. Sadly, many users (including myself) have also experienced issues, ranging from the simple, to the seemingly near catastrophic. Although there doesn’t seem to be any helpful documentation from either Xiaomi or Aqara regarding a lot of the new changes that these updates have brought, there are a few things we can make you aware of that will hopefully help fix a range of problems, or at least help you get your hub working again. Aqara app or Mi Home app? First of all, you can only have the Hub in either the Aqara app or the Mi Home app, not both. What will happen though, is that if you add the Aqara Hub to the Mi Home app, as soon as you then open the Aqara app again, a pop up panel will show which will try to get you to ‘bind’ the Hub to HomeKit, which actually just takes the Hub back out of Mi Home and into the Aqara app again. This also happens with the Mi Home app in much the same way if you’ve got your Hub set up in the Aqara app. Seeing as ultimately the Mi Home app is the superior option in most instances, my advice is to use the Mi Home app, as it makes the alarm functionality a lot easier than the Aqara app. Just make sure that if you ever do open the Aqara app, ignore the ‘bind accessory’ pop up window. make sure you wi-fi network name (SSID) doesn’t have any non-standard characters, like commas or apostrophes etc. ensure that you have a 2.4gHz wifi network available. If you’re using an Apple Airport Express or Extreme, these have two networks – 2.4 & 5.0gHz, but they usually work together under one name, which can cause the Aqara hub to not connect, so you need to separate them out into two networks, via the ‘Airport Utility’ on mac. If you’re using other routers, then you should refer to their particular documentation regarding this. You may also find it useful to temporarily change the DNS settings on either your Router, iPhone/ipad or both, to 8.8.8.8. This has made a difference in my case every time, and once it’s over, you can change the DNS settings back to automatic. make sure your Hub is well within range of the wi-fi network signal, as the Hub doesn’t have a great wi-fi reach. before you try adding the Hub, press the button on the Hub itself 10 times, in rapid succession. This will totally reset the Hub and clear any old data that could create conflicts. Eventually the light ring will turn white and then start flashing yellow constantly, followed by a Chinese voice prompt (this can be changed later). 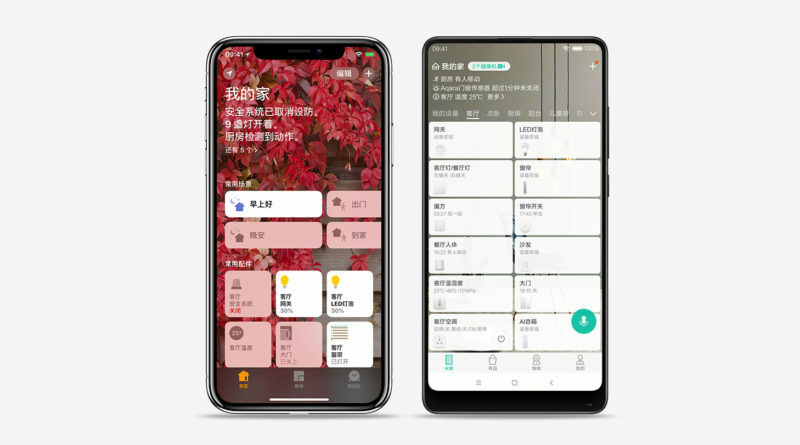 start adding the Hub to the Mi Home app, ensuring that you are registered with Mi Home and have an account, are signed in, and it’s set to the Mainland China server. once you do that, the hub should appear as a device, although you may want to wait for a bit for it to appear. It’s also possible that other devices may show up. from there, everything else is as normal and eventually you should see the section where it will add the light, the alarm and the Hub part to the HomeKit system. it will say there is more setting up to be done. This usually involves going back into the Mi Home app. click on this and you should see your Hub. Click on it and it will go through a sort of pairing process, to complete the procedure. Any devices that were tied to the hub will probably no longer be in either the Mi Home app or Apple’s Home app, so you will need to re-add them. There are two methods of adding new devices in the Mi Home app, which I have listed at the end of this article. devices in specific rooms in the Mi Home don’t sync with the Home app, so if you want them to be the same, you’re going to have to do it manually. From there, it’s just a case of setting devices and automations up. Click on the ‘+’ symbol in the top right of the home screen. Select your device from the list of devices present – they’re broken down into types; cameras, lighting, sensors and so on. if the device you are adding requires a hub, then your hub should come up as an option. If like me you also have a Mijia hub, this should also appear in the list, but considering we’re looking to add HomeKit compatible devices wherever possible, make sure you choose the Aqara hub. From there, simply follow the on-screen instructions for your particular device, and that should be everything. Method #2 is probably better, as it only lists the devices that require the Aqara hub, so you know where you stand, but if you want to add a device regardless of whether it uses the hub or not, then method #1 is probably better. All of the above are based solely on my personal experiences so far and while I’ve done my best to document every instance where there’s been a issue or a resolution to the issue, I can’t guarantee you won’t experience other problems that I haven’t touched on here. If I add child device by using the Mi Home app then it will not appear in the Home app. Do you have any idea to fix that? Which device are you adding? Some devices are still not HomeKit compatible. You also need to ensure that when you add. A child device, it is added via the Aqara Hub. If that isn’t an option, then it means that it doesn’t require the hub to function (like the Xiaomi Air Purifier for example) and therefore is not exposed to HomeKit. Well. I added a Mi zigbee smart plug. It worked perfect with previous firmware, I coud control it with Home app and Aqara app. With the new firmware updated, there were issues with the aqara app, so I did a hard reset on the hub. But I can’t add the plug with Aqara app anymore, the hub says “device connected”, but the counter on the app just running down. I tried the Mi Home app, and I coud add the plug but now it does not appear in Home app. Now, I can have automation and control with Mi Home app but can not use it with Siri. Any ideas about get it work with Homekit? I have the same problem. After the last firmware, the Zigbee smart plug from Mijia doesn’t appear at HomeKit. No difference using Aqara app or mi home. Hope they fix with the next firmware update. Same problem here. No longer have the Zigbee Smart Mi Plug in Homekit. These would be the cheapest HomeKit plugs so hopefully it’s fixed soon. Decided to give it one more try per your instructions. I first purged everything in the Aqara app while logged out, then logged back in, removed all phantom devices, removed the hub, logged out and killed the app. So I started out completely blank so there are no conflicts, and reset the hub by doing the 10-click. Steps 8 and 9 I could only add “light” and “security system” if I tapped on the Yellow Home icon in Add device – you have to wait for it to appear. If I pressed on the immediately visible green triangle with dots it would just get stuck “adding device” forever. Then the two devices (light, security system) were added to the Home app, but there’s nothing under the Homekit tab in the Mi app. The hub is simply not there. Trying to add any devices (which I know worked with the Aqara app) brings up a message saying you need the mijia hub. So it worked all the way to step 13. I’ll just way until for a few hours see if anything changes. Now the question is will firmware updated will go ok with Aqara Hub under Xiaomi Mi Home app? Hey! Thanks for this step-by-step for adding the Aquaria Hub, I’ve followed your instructions and got much further than I did on my own. TL;DR – added light feature to Apple Home app, during setup process indicated that the hub “section” in the Apple Home app needed to be updated in the Aqara Home app, device can’t be detected there. Here’s my question: following your instructions, I was able to add the Hub using the Aqara Home app. It found the hub, added it. (it detected the light and the hub, it didn’t see the alarm yet, it needs a firmware update). Here’s my situation: I’ve added the light & can currently see it in Apple’s Home app, but almost IMMEDIATELY upon adding it the light/hub is consistently being described as “Accessory offline” in the Aqara Home app (and, as a result of this, am unable to perform firmware updates). Additionally, while I am seeing the light feature in the Apple Home app, I am not seeing the hub feature there (the hub and light appear as two separate items in Apple’s Home app), which is making me think that’s why I am unable to perform updates. I’ve removed the accessory from the Apple & Aqara Home app several times, each time getting the prompt that the “hub” section of the device in the Apple App needed to be configured in the Aqara app, but the the app says that it is offline. Since I’d split my network into the 2.5 & 5 GHz bands, and since several other HomeKit devices were not responding, I thought that putting them back together may allow it to be detected. I kept the simple wifi name, and no change, still not detected in the Aqara App. Clearly, I know that you are not Aqara tech support, but your walk-through has been better than any of the support I’ve gotten from Aqara. Sorry if this is a rambling message, but I’ve been fighting this device for over a week now and am SO CLOSE! Any suggestions to get the device recognized by the Aqara app and update the firmware? ok, so if I delve straight into the issue of your hub appearing offline, in my experience this is usually down to two things; either the hub is too far from the wi-fi network it’s connected to (but I’m sure you’ve covered that already), or more likely, it’s down to an incomplete setup procedure. You can have the hub in the Aqara app or the Mi home app, but if you’re in the Aqara app and you go to the settings for the Hub, there’s a section that says ‘Support Mi Home app’ and then ‘Yes’. If you have in any way selected the hub to be sent to the Mi Home app, it will then pair with that app, but seemingly nothing has happened, except that all your devices and the hub should disappear from the Aqara app. All those devices will still appear in the Apple Home app, but to complete the process, you need to go into the Mi Home app for one final setup section. Im saying all this on the assumption you did this, as this has happened before to me. Let me know. And thank you for the tip, I will begin working on this process in a day or two and will report back. And thank you so much for assisting all of us. When I go to settings> Support Mi Home app, it says No. If I touch “No” to change it, an X appears with some text below it and it stays at No. 2.) continue the hub setup in the Aqara app? Also, is this something I should try & set up in the Mi Home app initially (and avoid the Aqara app completely)? why Firmware version have you got on the hub? And what’s the version of the Aqara app? If it’s 1.4.7 for the hub, you should be able to just add it to the Mi Home app, although it’s likely you’ll have to reset the hub, although I can’t be certain. I notice that, at the top of the Aqara app it refers to my house simply as “My Home”, and not as the name given to my home in HomeKit. It may be irrelevant, but that looks odd. Check to see if the app is v1.4.5 and also double check that you’re actually signed into the Mainland China server, as when it’s updated from the previous version it signs you out. Simon, you got it. All set up in the Home App. Thanks so much for the help going down this rather confusing path. Hi Simon, I hope you can help me. I have tried to add the Aqara Hub as a device and have gone through the steps as mentioned on your site. Everything seems to go well but the hub does NOT appear as a device in the app. As a result, I can not add any other devices. In the home kit app the Aqara Hub is visible and I can turn the lamp on / off. According to the manual “it will say there is more setting up to be done.” This usually involves going back into the Mi Home app. in the Mi Home app, over the top, above the device tiles, there are a list of rooms. Scroll horizontally until you see a ‘HomeKit’ tab. Do I have to go to the Mi Home app after completing the process? I do not see any “HomeKit tab” at all. Hi, I’ll help if I can – if you look in this video you can see me scrolling to the HomeKit tab: https://imgur.com/a/pr02NFE – let me know if you see this. In the Aqara Home app its working fine. FYI: The Firmware version Hub 1.2.26. I’m trying to update it with the Aqara app but it seems nothing happens :-(. Ok, so until you update the firmware there’s no way to add it to the Mi Home app. What version of the Aqara app are you running? You can also only update the hub if you’re signed into the Aqara app and have Mainland China as server region. I’m signed into the Aqara app and selected the Mainland China. Everything is as it should be, so I don’t understand why you don’t have a firmware update available. Does it say there’s an update available? Are you using anything like a VPN that could be causing an issue? I can’t think of any other reason why you aren’t able to update. I uninstalled and installed the Aqara Home app. But now i’m not able to login. There’s only Mainland China available? Yes, they’ve removed the other regions for the time being. It sounds as though the easiest option is to set up a new account, set to Mainland China, then check for firmware updates. Where do I set up a new account? In the app? Yes, if you go into the app it’ll say ‘sign in’, but if you swipe across, there’s an option to ‘sign up’ too. Thank you very much for all the help and patience. It is nice to see that people are willing to help other people. You’re welcome! So you’ve been able to update the firmware? I’ve been able to update the firmware and that was the key to solve my problems (adding the Aqara Hub and sensors to Mi Home. Help, ask away and I’ll try and assistance, but hopefully it’ll all be ok.
Is anybody know when it will be possible to activate local network protocol on it? Added the sensors one by one in the mi home app. Note that the full reset also returns the original firmware which is only compatible with the aqara app. So remember always to upgrade with the aqara app. Preface: everything is working well. The alarm system appears to be able to be turned on/off. How would one activate the alarm? For example, if the alarm is on, how would one trigger it? I assume I’m looking at creating an automation within the Home app, but I’ve still not found out how to configure it. To create and activate an alarm, you have to first create an automation in the Mi Home app, and use a Mijia or Aqara sensors to trigger that alarm, so the Apple Home app is just acting as an arm/disarm function at this point, so presently you can’t use the Home app or other HomeKit sensors to trigger an alarm. I’ll be doing a post today hopefully that shows you how to do it, which should be straightforward, although I’ve not set one up in the Mi Home app yet. Have you update mi home app? After i update mi home app i cannot add another (secondary) aqara hub. I can add to homekit but i didnt see it in mi home app. Also after add secondary aqara hub my ki home app always crash. Any suggestion for that? I have got one of my Aqara hubs running in the Mi Home app, but my second Hub is still connected to the Aqara app at the moment, so I’ve not experienced this yet. I will be adding the 2nd Aqar Hub it to the Mi Home tomorrow though, so I’ll let you know if I find any problems and solutions. Ok simon. Just Now i deleted all devices is connected to my first aqara hub. Because after i add second hub to them it appeared offline. Now i start from begining to install hub to mihome. Hope you will get any solution for that. If mi home cannot connect to secondary hub, mybe i just add another mijia hub. Does anyone had any luck so far exposing the Mi SmartPlug (Zigbee Version) to Apple HomeKit? I have 2 different versions of the Plug, one is Branded “Mi” and the other one is branded with the Mi “Logo”. All 6 of them I own, are working within the Aqara App but none of them are exposed to the Apple Home App. Since the last updates Aqara have temporarily removed HomeKit compatibility due to them not being officially HomeKit certified. They’re working to fix it. Hi simon Any update from you regarding add secondary aqara hub ? It’s all very strange, as I went into the Aqara app today, having noticed that the Hub that is connected to the app, wasn’t responding. I went into the settings and it now says that it’s not able to connect to Mi Home app. Every time I go into the Mi Home app and click on the HomeKit tab, the Mi Home app crashes. So, I’m going to try and reset the hub to see if it will be recognised by the Mi Home app, and just avoid the Aqara app totally. there has been a change since the last message I sent. Basically the problem I had with the Hub in the Aqara app saying it would ‘No’ next to the message ‘Connect to Mi home app’. I simply unplugged from the power and it was ok. However, when I tried to select the option to send it over to the Mi Home app, something went wrong and I eventually removed it totally from the Aqara app and just totally reset the hub then added it directly to Mi Home without using the Aqara app. I now have both hubs in the Mi Home app with no problem. The HomeKit tab is no longer there in the Mi Home app though, which I think will only appear is there’s a hub (or other device) that is waiting to be added to Mi Home. I finally bought the China version of the Aqara new hub, it doesn’t seem like US version existed at all, I will just get a better plug converter instead of the one that comes with it. 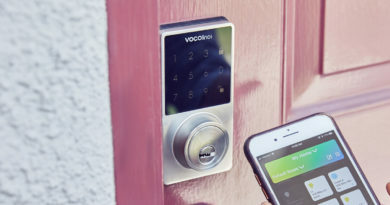 I also have the door lock and Ecobee 4 which I haven’t installed yet. So what other fun toys I can get for the Apple Smarthome kit? I have a concern, I have setup all those Aqara sensors through the Aqara.app without account(this only support account if I pick mainland China), and I do not see any of these sensors under mi.home(China region) app so I can’t setup any notification for the temperature sensors. Should I re-do the setup and pick China? If you want a more complete experience with the Aqara sensors and the hub (like the security system that you can arm/disarm via Apple’s Home app) then the Mi Home app is the way to go. You will have to set up an account and you will need to set the server to Mainland China though. It sounds as though you don’t have any smart lights at present right? If you go down that route, I’d suggest getting bulbs that use a hub, like Philips Hue, although if you only want white bulbs, with smarts, Aqara now have quite cheap bulbs that work with the hub and also work with HomeKit. Also check out the Vocolinc Smart diffuser as a novel new device, or the new Mijia Bedside Lamp. Both HomeKit compatible. I’ve got two Mijia cameras, two xiaofang and a dafang camera and all can work with the Mi Home app no problem. I don’t have a Yi camera though. None of these will be exposed to HomeKit though as they don’t actually need a hub to operate, as they’re all connected via wifi. Ok, let me pull my old one out and try it with Mi.app again. They don’t have to be apple Apple home kit compatible, I just need a cheap camera to monitor some area. Is there any reason to use the Mii or Aqara app (apart from updates) if you’re solely after Homekit only? I’m assuming once it’s exposed to Homekit you can use a 3rd part app (live Eve or Home) and do more complex automations? Or can you only add sensors for example to the hub by being logged into the Aqara server? Once you’ve got all your Aqara or Mijia sensors paired with the Aqara Hub, there is not a lot of reason to use them other than for updates, although it does depend on which types of devices you might use. For example, with this latest update, you now have access to an alarm system as part of the hub, but you need to set up the alarm initially in the Mi Home app. The HimeKit side of this is just an arm/disarm feature. As regards adding sensors, I’ve always had an account and been logged into the Aqara app (when I used it) and also the Mi Home app, so I’m not sure what happens if you’re signed out of these apps. Suddenly all my Aqara sensors are offline… except for the Aqara Hub that one is still online. Anyone else with this problem🤔? I know it probably sounds obvious, but have you tried unplugging the hub and then plugging it in again. I recall this happened just the once, and doing this sorted it quite quickly. But changing SSID will be a big headache, as i have many smart home devices and even a Home Assistant server running. Strange about the SSID issue because i have a Xiaomi hub and it was easy to setup. I don’t even know what’s the firmware version in the hub or update it. Hope i can have it connected without changing the SSID, any ideas are welcome . the only suggestion I can make is to get your hands on a cheaper wifi router, create a new sub-network from the main one, and give it a simple SSID. Make sure all the other procedures are followed (2.4gHz only etc) and it should be able to connect. I have a main network, with an Airport Express riding on the back of that network – some of my smart devices connect to this network, some the other network, but they all appear together in the Apple Home app. Hi Simon, thanks for your reply, just saw it now. I bought a new mesh wifi (Deco M9+), so now i have a spare Airport Express, i did a test and setup the Airport Express with a simple SSID, and it worked, i didn’t think about that sub network, how do i set it up? Hi, glad everything’s all working. I’m not a network expert as such, so i don’t have a full understanding of how all of it works, but essentially in my home we have a cable modem. Coming from that I have a 8 port Ethernet box. This box is used to feed the network to all the rooms, with each having an Ethernet connection on the wall. If you plug in the airport express, and set up a new network, as far as I’m told, this actually creates a subnetwork, so even though the SSID is different from the main network, it’s actually part of the same network. So, I have one network in my bedroom which has a different SSID to the one in the main living area. Some devices are connected to my bedroom network and some to the living room network, but I can control all the devices in the Home app, regardless of which network I’m connected to. Hi, ok i think i know what you mean, ill try to connect my Airport Express to one of the nodes on my network, better than reconfiguring all my devices to new SSID. Thanks for the suggestions, and Happy New Year !!! Good luck, and happy new year to you too. Hi again, just a quick question, after i add the Aqara Hub do the Mi App, i already have a Mi hub with several devices, in order to have those devices appear in HomeKit, i need to remove them from the Mi hub and add them in the Aqara hub is that correct? Any of the devices that need a hub – that is to say Zigbee-based ones like the sensors for example – can be added to the Aqara Hub. Just delete them from the app, reset them, then add them again and make sure that you choose the Aqara Hub as the one for them to pair with if you want them to be exposed to HomeKit. However, the most surefire way to make it work first time is before re-adding them, use method #2, as detailed in the article. This seems to get the devices appearing in the Home app first time. Hello again, would like to ask you if you have tried any Mi LED Smart Bulb, the white a color one. I know this one don’t need to use any Hub, the problem im having is to add it to the Mi Home app, all the setup goes well but in the end it doesn’t show up in my devices, if i add it to the yeelight app, its ok and i can control it, but still not showing up in the Mi Home app. can you send me a link to the specific light bulb you’re talking about, so I can see which one it is? As soon as I know, I will have a better idea of a possible solution. Hope you can help me. I bought recently the Aqara hub, few aqara sensors and the aqara cube. The aqara cube is not present in the list of devices when I set to other region the aqara app, but it’s present when I set to mainland china. When I try to set up my hub in mainland china, I am able to do the entire process but when I am done nothing appear in the devices list. Every time I set up my hub it appears in other region but not in mainland china, even if I do the whole process in mainland china. When I go back to mainland china, I have a binding message, but I have the 601 error and binding fails. glade that i see your articles. this more or less sure helps. question is, i am living in Thailand, do i need to set the server location to Mainland China also? In order to initially set up the hub and use it in the Mi Home app, you will have to have it set to Mainland China. You can switch between different servers in the Mi Home app, so you don’t have to stick with one server, however, going into the settings page and changing servers is a bit annoying! just come today aqara hub, with aqara app not work, with mi home and mainland chine work, but missing radio, and how to set clock alarm beacouse i am in europe? The Aqara Hub doesn’t include a radio unlike the older mijia hubs. For the alarm clock, just click on the Aqara Hub icon in Mi Home and then click ‘auto’ then you should see an option for the alarm clock. There is another way to create an alarm in automations. Click on the automation tab at the bottom of the screen, then click ‘+’ to create a new automation. For the IF condition, select ‘timer’ and set the time for your alarm and choose whether you want it to be done once or daily, weekly etc. For the THEN condition, select the Aqara Hub and the choose ‘play designated ringtone’ and choose the preferred sound and volume level. Save the automation and name it. wow, excelint tnx bro, any chance + light blinking set with the alarm? You can’t create a flashing light unless it’s an alarm. But you can make the light come on. Where you’ve created the alarm in the THEN section, you can just click on the part that says ‘add more’ and add the automation for turning the hub light on. I’ve changed the dns, reinstalled the app, reset multiple times. Very frustrating. Hub works fine connected directly to HomeKit. Any ideas? Did you try adding the number instead of scanning the code? Sometimes that works better, although once you have added the code, wait for a while until you see the right icon, as sometimes two different icons show up – a triangle hub symbol and a house symbol. J’avais jusqu’à maintenant mon Aqara HUB (homekit version) associé parfaitement à Aqara Home ainsi qu’à Apple Home + ses accessoires – Tout fonctionnait parfaitement. J’ai voulu suivre votre procédure pour l’ajouter à Mi Home. Après avoir suivi la marche à suivre (dont les 10 clics, qui chez moi n’ont pas fait parler le hub du tout), me voila complètement bloquer. Impossible de l’ajouter évidemment, mais surtout impossible de faire quoi que ce soit. J’ai désinstallé les appli Mi Home, Aqara Home, supprimer de Apple home…. Quel numéro de logiciel est votre hub Aqara en ce moment? S’il est inférieur à 1.4.7, vous pourriez avoir des problèmes. Avez-vous une idée pour comment régler la situation? Malheureusement, je n’ai aucune réponse pour vous. tout ce que j’explique dans les guides, sont les solutions que j’ai, alors si elles ne fonctionnent pas, je n’ai plus de suggestions Pardon. I recently Jan 19 purchased an Aqara hub and sensors. Following instructions from Aqara site, I never managed to get it to pair with the Aqara Home app. It was giving 601 errors even though all the steps had been followed. Doing some more research I finally found a tread on Aqara how to identify your hub. There it was written that my version will only work on the Mi Home app instead of the Aqara app. I did the installation using the Mi Home app and it paired and seems to be working. I even upgraded firmware to 1.5.0 and all seems to be good. The hub and one test sensor is appearing in HomeKit. Hopefully this will help for other users in similar situation. I no longer able to add to the Apple Homekit after I upgraded to 1.5… I will have to try resetting it again… when I have time. My “binding” fails in the Mi Home app. Step 14: click on this and you should see your Hub. Click on it and it will go through a sort of pairing process, to complete the procedure. If I reset and start fresh in the Aqara app, there are no issues – binding completes. After 1.50 update I see all my motion sensors as active (all the time) in home app. In mi home app everything is normal. Anyone noticed this as well? I have many questions, if you can answer any or all that would be very appreciated. I want to add the Xiaomi 2s Air purifier to the Aqara upgraded smart socket to set up local automation as currently this is very buggy on my phone and only seems to work sporadically at best, is this possible? I also want to be able to add it so hopefully it can use the 2s’s humidity and temperature information to automate the aircon unit, is this possible? I understand this is not a sub device but maybe in ‘others’ devices? I have searched this but all air purifiers are in Chinese and I can not find it even with the help of google translate. Is it possible to get international internet Radio through the hub? I have tried but so far no luck. Can two or more upgraded smart AC hubs be linked to play the radio through both with 1 instruction? Do you know the range of these hubs? I cant see anything stated anywhere on any site. Although I have many more questions I will leave it at that for now. If you can’t answer any please don’t worry I just thought it was worth a shot. regarding radio on the hub, I’ assuming you’re referring to the Aqara hub, but the answer is no, there’s no option to get international radio stations currently. The only hub that allows this is V2 of the Chinese Mijia Hub, and even then it’s only Chinese radio stations. The Aqara hub range is about 6m officially, although I can get around 8m, but that’s in a straight line with no walls blocking the signal. Thanks for the very quick reply. I have the smart aircon plug by Aqara that works as a Hub as well: https://youpin.mi.com/detail?gid=101229 . 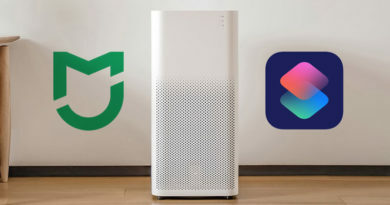 It links to the Mi Home app like the Air purifier 2s: https://www.mi.com/air2s/?cfrom=search . As both link through the Mi Home app via wifi, I was hoping the data of the 2s could be accessed by the Hub and used for automation’s. I already have automation’s on the 2s through the Mi Home app, however they do not always work as I think the app needs constant wifi enabled and the app always relaying data for them to work. Hence why I wanted to put the automation’s on the Hub so it is local and can constantly monitor and run the automation’s. I also wanted the Hub to use the data from the 2’s like temperature so it could run automation’s on the air-conditioner it has plugged in to it without an added accessory. Hi Dave, I’m aware of the Air Con Plug/Hub, but don’t know anything more than the basics, mainly as our air con units are all already hardwired. So essentially I have no clue as to what it’s capable of unfortunately. What you’re trying to do makes sense, but then common sense has sometimes eluded the people who make such devices! I’ll ask a colleague of mine in Shanghai, who I believe has one and get as much info as I can and get back to you. Funny thing is trick 1 and 2 works but Arming mode still appears as disabled in the Mi Home and Apple Home app. Am I missing something here? I’m on the latest firmware 1.4.7 btw. Hi Nazir, there is another update that should be available (1.5.0) via the Mi Home app, but even with 1.4.7 you should be able to get the alarm working. Just to double check, did you see this article? Thanks for the heads up. I followed the guide to setup the alarm, exactly the same as your. But as soon as I press back from the main Hub page, it went back to disabling the alarm again. In the Apple Home app, when I swipe down to enable the alarm, it goes right back up. Seems pretty buggy for me. Oh, I’ve tried checking for updates, the 1.5.0 doesn’t show up. I’m on mainland china server. But I saw on Aqara forums that many has experienced bugs on that version. Could it be that it was pulled? Currently Aqara Hub is binded with the Mi Home app. If I bind it with the Aqara Home app, would that unpair the existing sensors in the Mi Home app? It does sound like there’s an issue if you’re getting the results you mention. One question I should ask is, do you have a device that is set to trigger the alarm (not set the alarm)? So when the alarm is ‘armed’ there needs to be a sensor associated with the alarm in order for it to function correctly. So that could be a Motion Sensor or a Door Sensor for example. These should be set as the trigger devices that make the alarm sound. You shouldn’t have something like a. Motion sensor set to arm or disarm the alarm, as they’re not designed for this kind of functionality. You can set a switch to arm or disarm the alarm though. As regards the 1.5.0 update, I’m not sure whether it has been pulled or not as both of my hubs are already updated. So there’s no way for me to check. The way that the Aqara app is that once your hubs are paired with the Mi Home app, they no longer appear in the Aqara app – if you’re logged into your Aqara account. If you open the Aqara app, there should be a pop up window saying it has discovered your hub and wants to pair with it. If you do this, it will be taken out of the Mi Home app. In theory, all the connected sensors and switches should be placed in the Aqara app too, and they should also appear in the Apple Home app, but it does take time to filter through. So sometimes these devices will appear as offline or not appear at all. Sometimes it doesn’t work as intended as you’ll need to re-pair your devices unfortunately. The alarm system doesn’t work in the Aqara app in the same way that it does in the Mi Home app either, so it’s probably not worth going back to the Aqara app. I’ve added a couple of sensors under the Alert Trigger Device, namely Motion Sensor, Door Sensor and even Wireless Mini Switch. The alarm works as expected when these devices were triggered, but Mi Home app kept showing it as Disabled in the Hub page. I’m thinking of resetting the hub, but I’m scared thinking what a nightmare it was to get paired the first time. But as long as I didn’t press the button 10 times to completely reset it, it should stay on the current firmware, right? Btw, I’m thinking of changing my home WiFi name and password. I guess that I had to start from scratch for the hub and every single sensors? From my understanding of firmware in general, the total reset option wouldn’t undo the firmware update, but I’d have to confirm that with someone else. If you do want to try going down the route of re-adding the device, just press on the tile for the Hub in Mi Home under all the tiles start to wobble, then delete the hub. Then when you re-add it, just follow the instructions as normal and see what happens. It’s always a risk of course, even though it shouldn’t be, so it’s your call. Resetting your wifi SSID shouldn’t have any effect on the devices that go through the hub, as they’re not connecting via wifi, but using Zigbee. Does any one have the problem with Aqara hub working under 1.4.7 or 1.5 in Mihome app that after some time the hub didn’t respond in home kit app but in Mihome app it is steel online and works fine? My hub and all the automatinions stops working in homekit app after some time. sometimes it is one week or more some time after two days. but they still working in Mi home app, but I prefer to work homekit because for exampl I do have any idea how to turniej of automatition in mihome app for example using door opening sensor when doorsów open the light should go on only for 3 minutes in homekit is isvery easy but do know how to make it in Mihome. I have the same problem. No solution for me yet. Do you have any ideas ? Hello, I’m sorry for in advace for my poor english…I try to explain my problem. I follow the procedure for the Aqara Hub & Mi Home app, added hub and vibration sensors with success. My problem is that when the allarm is disarmed…if the sensor feel a vibration the hub sounds allarm tone….what can I do for to fix this problem? Everything looks like yours procedure….and I didn’t set any kind of automation. Do you have any idea why I can’t update the hub? I’m stuck at 1.4.5, does the Aqara Hub offer something else? Why does not the Relax, Film and rest settings work for me. I can only turn on and off and set the switch-on time the rest of the settings does not work. How can I change this? I’m not sure what you mean when you refer to ‘Relax, Film and Rest settings’, as there is no mention of these words in the article. Maybe you’re translating from a different language perhaps. These are the lamp settings in the Mi Home application . If you enter the lamp setting you can choose from several settings Relax, Night light, Movie and more. If you want to set one of them appears chimney Failed to set .Why is it not working ? I don’t think you’ll be able to get them to be exposed to HomeKit with the Trådfri gateway, even with the two hubs. While the Aqara Hub is HomeKit compatible, the Ikea bulbs listed on the Mi Home app can’t be added to the Aqara Hub. They can be added to the Mi Gateway, but then that isn’t HomeKit compatible. To be honest, I’m actually not even sure if the Ikea bulbs listed on the Mi Home app are even Trådfri, although I don’t think Ikea do any other smart bulbs beside the Trådfri range anyway. It’s best to get the Trådefri gateway anyway, even just for firmware updates. I’m still waiting for the correction fix to use Zigbee plugs on Apple HOMEKIT again, any news? If you’re using the Chinese Aqara smart plugs, they added support for these with the 1.5.0 firmware update. However, some people are having problems updating to this version. I have an aqara hub which works fine with apple HomeKit using ttphe mi app. Today I received an aqara temperature sensor. It’s added to the mi app but not visible in apple HomeKit. Do you have any suggestions on how to fix this issue? I should be on the latest versions of both iOS and aqara os. Hi, did you follow method #2 when adding the device? This is always the more successful method. It turned out that a restart of my iPhone solved the issue. Great. Sometimes it’s the simple things that work!